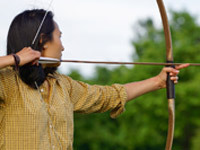 Welcome in Vendée, the perfect region for your campsite holidays. In the heart of Vendée, you will find the receipe for the ideal sunny holidays. Vendée is the second most famous region for its campsites, especially thanks to its natural beauty and the proximity of the seaside. Mes vacances en Vendée is a great duo of campsites along the Atlantic coast. Settled in two beautiful seaside resorts, our campsites offer you colorful holidays on the edge of the sea. Sol a Gogo campsite actually offers you to stay 50 meters away from St Hilaire de Riez beach. A soon as you will arrive you will be able to go for a swim or a tanning session under the sun of Vendée. Two minutes away from the ocean this campsite is to discover right away if you are an ocean lover. 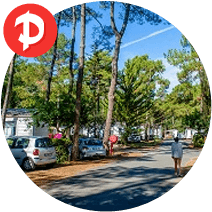 Campsite Zagarella is settled along a the forest in the famous seaside resort of St Jean de Monts. Every year our hosts team welcomes you in a fun and friendly atmosphere. From the kid’s club to the night festivities, this campsite is the perfect combination between rest, relaxation and friendliness. Our 2 campsites have 4 bright stars and welcome you in colorful, ideal settings. Thanks to its rich cultural heritage, Vendee is the ideal region for tourism. Among forests, green marshes and pine forests, the color green represents this place the best, even if it faces the ocean. Thanks to that green landscape your walks will turn into adventures. If you are a sport enthusiast, enjoy the walking and cycling trails, enjoy the sea air and the beauty of Vendée landscape. On the seaside, discover aquatic sports such as surfing, windsurfing or catamaran sailing. Beginners are welcome as well in the clubs boarding the beaches. A stay in Vendée is also ideal to recharge batteries spend zen holidays enjoying nature and its fauna and flora. The sun will accompany you during your walks, your bike rides or horse rides. Vendée also has a very rich cultural heritage. You will enjoy visiting traditional villages, unique museum such as the Bourrine of Bois Juquaud ot the famous Puy du Fou. Our campsites and their ideal locations will provide you the perfect settings for your holidays in Vendée. The Zagarella, for a tonic family holiday on the Vendée coast ! On the edge of a beautiful pine forest, enjoy a pleasant campsite near the ocean. In fifteen minutes by bike, reach the beaches of Saint-Jean-de-Monts, one of the most popular sea resorts of Vendée, and relax near the waterfront. 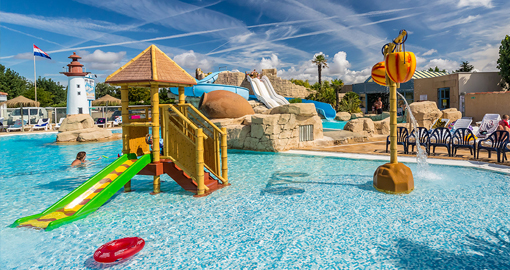 For a wonderful friendly holidays in Vendée, the campsite Zagarella offers playful infrastructures and various activities. From the playground to the practice of various sports such as bowling, water aerobics or step, enjoy the professionalism of our team of qualified instructors, who will accompany you on your holidays. Your relaxing stopover near the water ! While staying in the international campsite Sol à Gogo in Vendée, you will comfortably enjoy the nearby seaside, only 50 meters from the sea, the waves and the beach. Enjoy a warm aquapark, complete with outside swimming pool to enjoy the sun, some slides, and an indoor pool and water games for the youngest.